Call to schedule an appointment for marriage counseling. Sherry Bonder has over 20 years of experience as an individual and family therapist in Newburyport, MA. From adolescent counseling to marriage counseling, Sherry is dedicated to helping people create happier, healthier lives. She provides adults, couples, teens, and families with professional counseling and psychotherapy services. She is a licensed and certified psychiatric social worker. 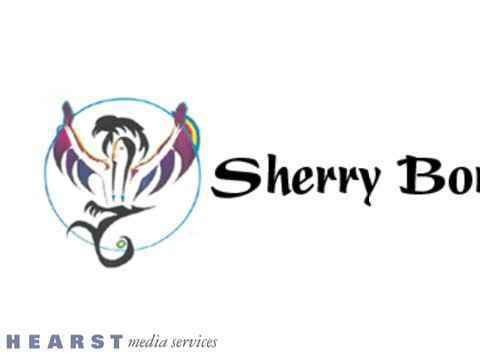 If you or someone you love needs someone to talk to, call Sherry Bonder. She is easy to talk to and provides depression counseling services at an affordable rate. Schedule an appointment today. Relationship problems are unfortunate, but they are a common occurrence for many people. Relationship and marriage counseling can be extremely helpful in improving everything from your relationship with a significant other to improving your parenting skills. Relationship counseling can help you build stronger relationship skills as well as improve your self-esteem. It isn’t just for couples; the most important relationship you have is with yourself. Sherry Bonder can help you improve your relationship with yourself. She can also provide counseling for those in abusive relationships and couples who are interested in marriage counseling. It can make the difference that ends up saving a relationship. Call now for more information on relationship and marriage counseling. Improving your relationship with your children can be beneficial in many ways. If you are constantly butting heads with your kids, adolescent counseling can be part of the solution. It can help improve your parenting skills as well as help your child or teenager learn how to communicate what they want without causing a conflict. Adolescent counseling can help you and your children establish a better and more mature relationship as they develop and grow into adulthood. Whatever the conflict may be, Sherry Bonder can help you reach a solution. Depression can occur as a natural response to a difficult or frustrating situation about which you have no control. In these instances, people find themselves getting depressed more often. We can help find a way to eliminate these feelings with our depression counseling services. We work with you to help find solutions so your depression symptoms are less likely to recur. We enjoy working with the residents of Newburyport, MA so they can live life to its fullest. Depression and anxiety have been a steadily increasing problem over the years. If you face these problems, it is important for you to reach out and get help. Sherry Bonder offers compassionate depression counseling. She can help you understand where depression comes from and help you develop your coping skills. Depression counseling can improve your state of mind and your quality of life. If you or someone you know is suffering and could benefit from depression counseling, please don’t hesitate to call. Call now for family and marriage counseling, and more. The benefits of counseling are vast. It can help change your life and your relationships with all the people in it. It can help you bring meaning to your life, learn excellent conflict resolution skills, and improve your relationships. It can help you overcome stress, depression, and anxiety. Sherry Bonder accepts most insurance. She is affiliated with the National Association of Social Workers. If counseling services seem right for you or your family, call to schedule an appointment today. For a variety of problems, counseling can be the answer. From depression counseling to alcohol or drug addiction counseling, Sherry Bonder can help provide the solution you've been searching for. If you or someone you love could benefit from talking to someone, please call Sherry Bonder today. From adolescent counseling to marriage counseling, you can improve your relationship with your loved ones. Depression counseling can help you overcome difficult times. Proudly serving the Newburyport, MA area.